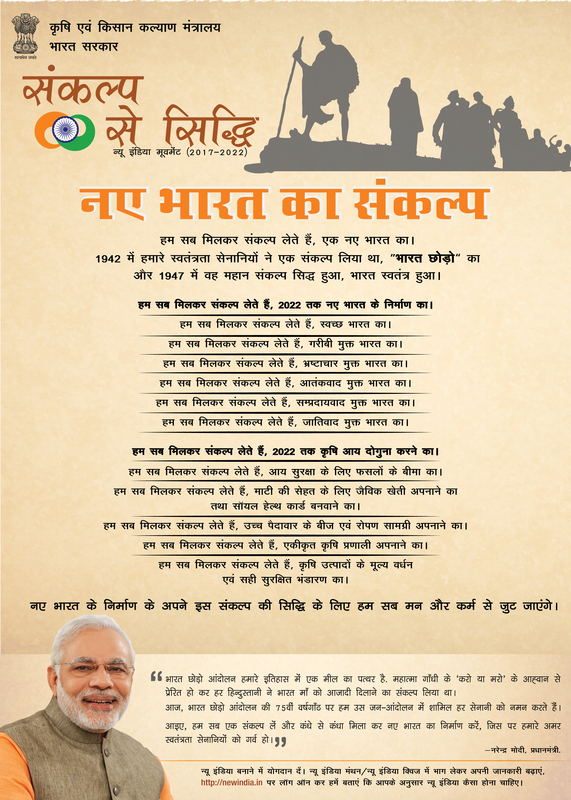 Objective: To make a new india and to double the farmers income by doing crop insurance, increasing soil fertility by organic farming, using high yielding seed and planting material, adoption of integrated farming system and increasing the value of agricultural produce by value addition and safe storage of the produce. 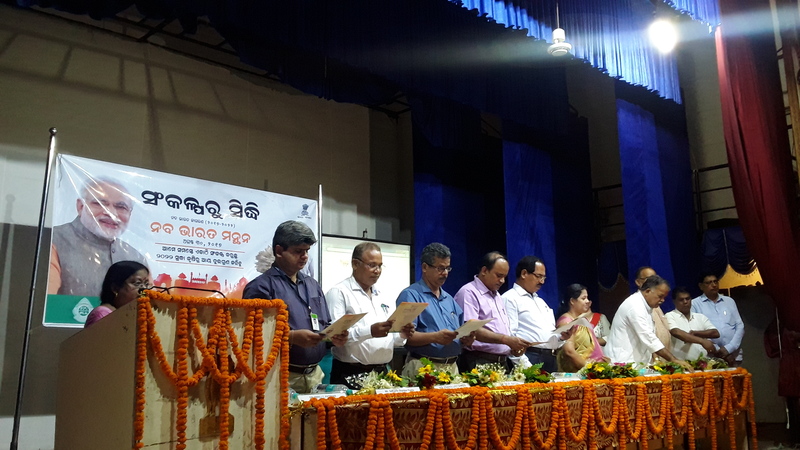 The New India Manthan: Sankalp Se Siddhi Programme was organized by Krishi Vigyan Kendra, Jajpur on 30.08.017 at Gautam Budha Sanskruti Bhawan, Jajpur . Inauguration of exhibition was done by Hon'ble MP Smt. Reeta Tarai, Chief Guest of the function. Welcome address was presented by Dr. (Mrs.) T. Pattnaik, Sr. Scientist & Head. She requested Professor S.S Singh, Director, ICAR ATARI, Kolkata to chair the session. 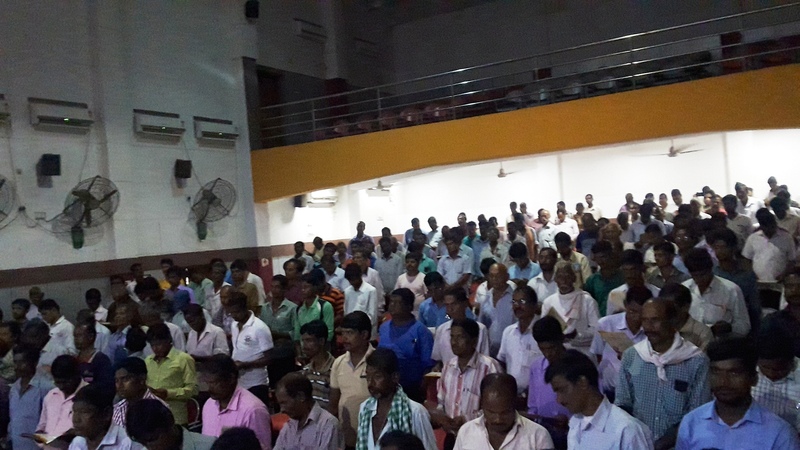 Screening of the message of Hon’ble Prime Minister of India video was shown to the farmers. All the dignitaries and farmers had taken pledge for construction of New India by 2022 and for doubling of income of farmers by 2022. Dr. M.P Nayak, JDE, OUAT, BBSR delivered his lecture on seven points for doubling the farmers income by 2022. Prof. Dr. S.S Singh, Director, ICAR, ATARI, Kolkata delivered his speech on organic farming, skill training, Pradhan Mantri Fasal Beema Yojana, integrated farming, use of high yielding seed and seedlings and storage of food grain.